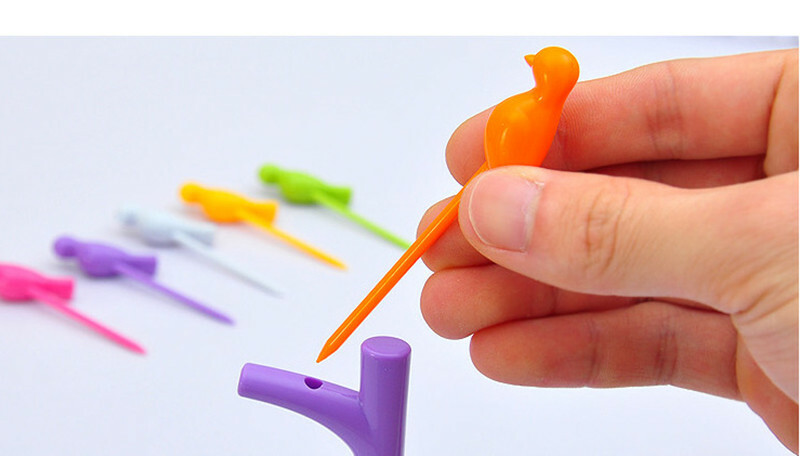 Easy to use, convenient health. 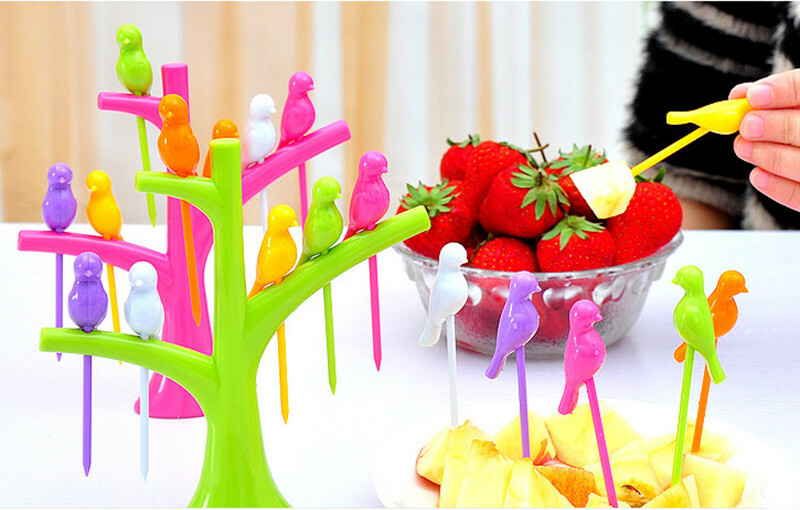 Dazzling colors and creative style . 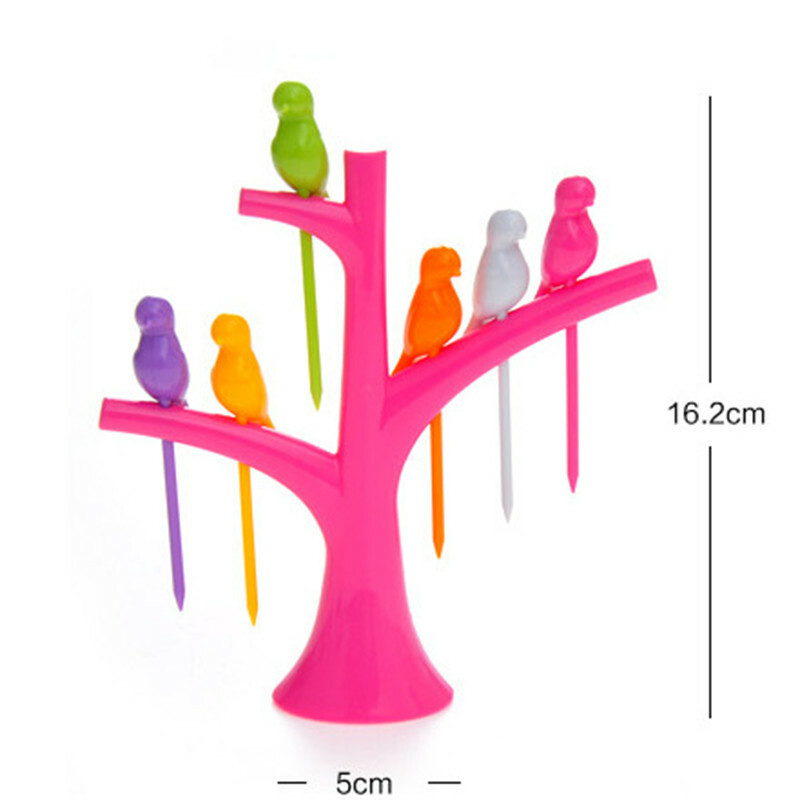 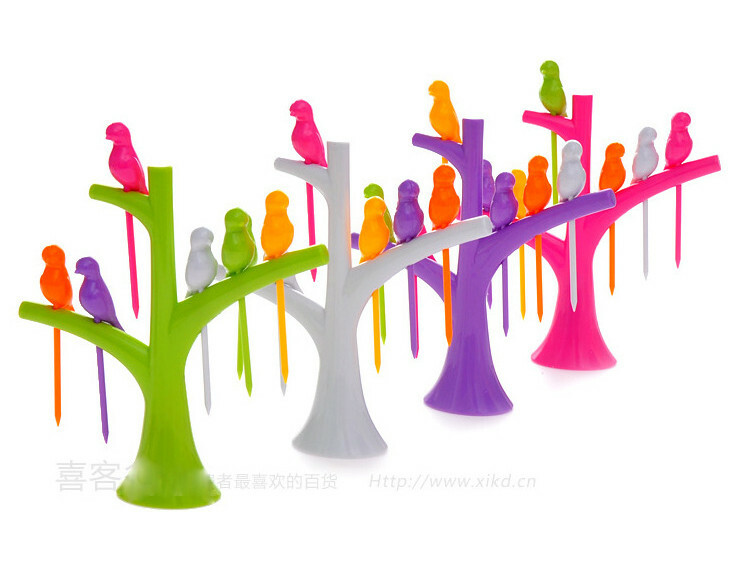 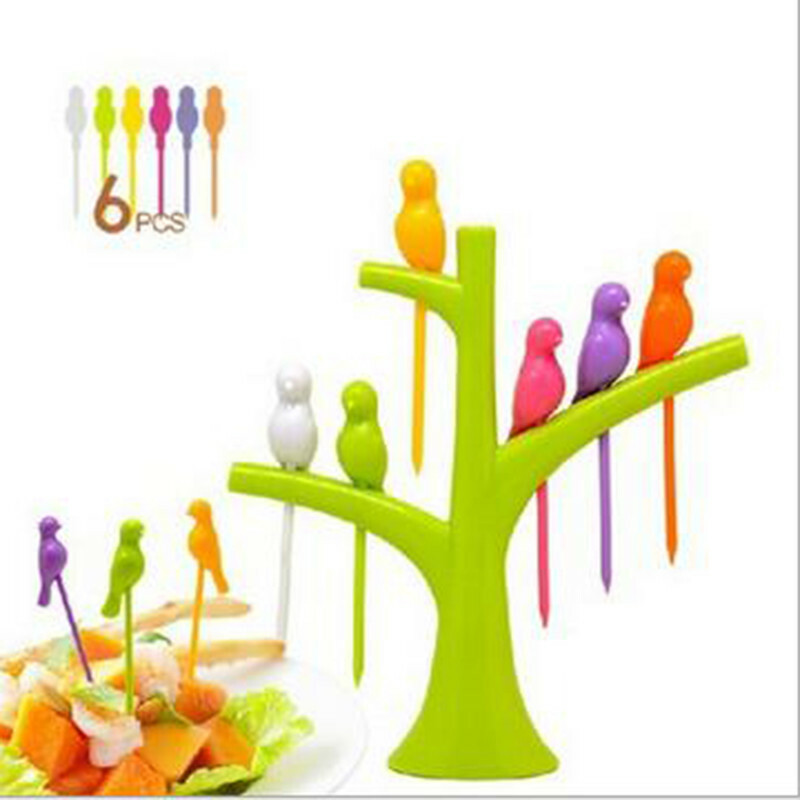 Tree shape forkes holder and flying-bird shape forks design will leave your family or friends with deep impression. 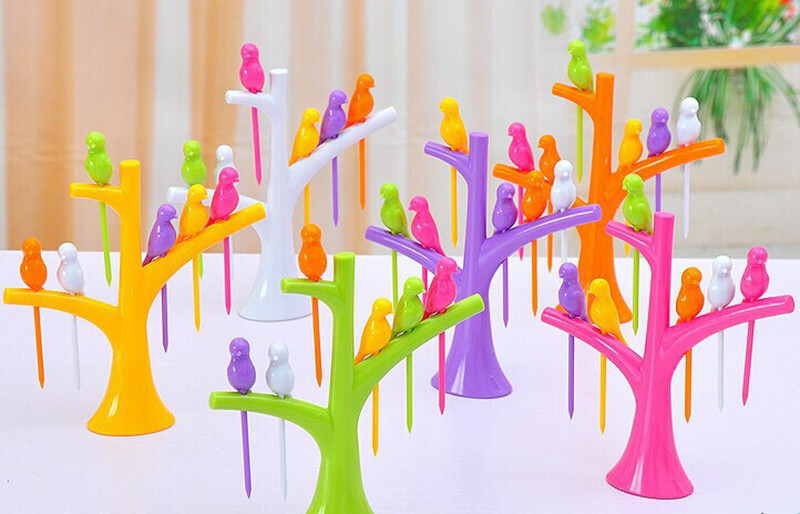 A beautiful home decor in daily life. Color:(Forks base)Yellow / Green / Purple / Rose Red /Orange to choose.